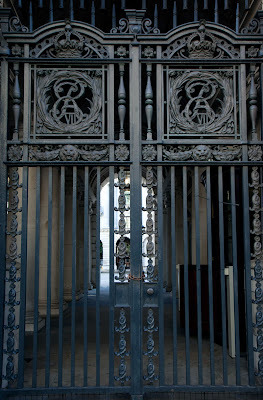 The gates to the entrance to the Treasury from King Charles St. 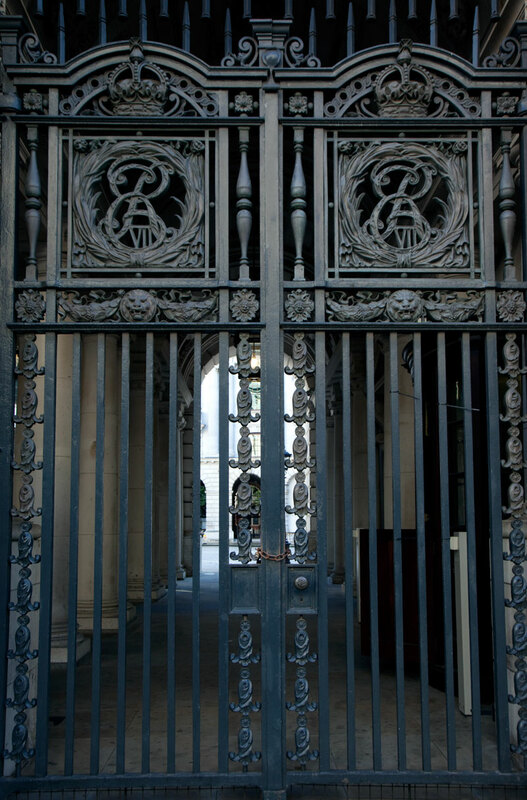 Possibly overlooked as the main entrance, that is very grand is on Horse Guards St. Treasury has only been housed in the building behind these gates since 2002. The new offices were officially opened by Alan Greenspan, former chairman of the US Federal Reserve Board. Lovely gates but, I'm trying to figure out why Greenspan would be asked to open the new headquarters for the British Treasury. An interesting choice. I've always had a thing for gates and these ones are lovely! Aren't they just lovely and ornate? I love that about London, it is the seat of the government, treasury, judiciary. In South Africa, each major city had a different function so nothing was centralised. Palmerston insisted on a 'greek' influenced building. Scott, the architect wished to build a 'Gothic' one, you know, pointed bits! His design was used as the Hotel at St Pancras. He merely moved the tower to the left and lo, a wonderful building there also.